Our all-natural baby wash and shampoo is made from plant-based ingredients that are gentle on skin and the environment. 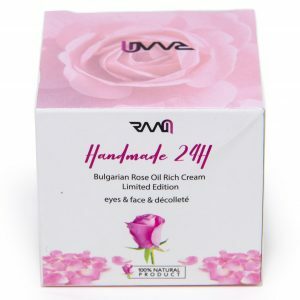 RAAM Products offers gentle baby shampoo and body wash made from all-natural ingredients including the Bulgarian Rose, one of the world’s rarest flowers. Our mild, sweetly-scented natural baby wash formula is tested for quality by an FDA-approved lab in EU, and is certified as a completely natural skin care product, making it the perfect shampoo for babies with sensitive skin. Whether you need an extra gentle baby shampoo and body wash for your little one or for your own sensitive skin and scalp, we’re confident that you’ll love our product. 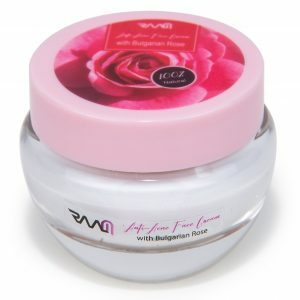 RAAM Baby Shampoo and Body Wash is made from completely natural ingredients in Bulgaria with a delicate infusion of the beloved Bulgarian Rose. Our natural baby care formula soothes irritation and carefully cleans your baby’s hair and skin while delivering moisture with plant-based ingredients. 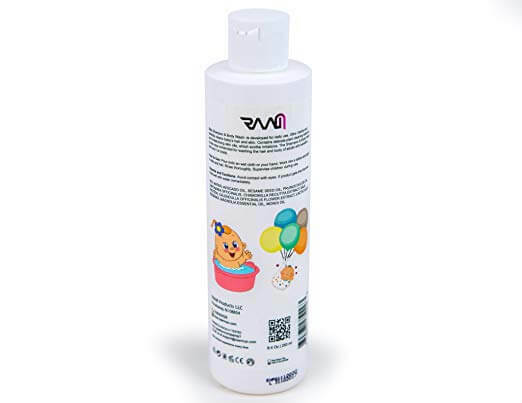 RAAM’s gentle Baby Shampoo and Body Wash is steroid-free, paraben-free and cruelty-free like all of our products. Pair this all-natural baby wash with our natural baby lotion for extra hydration! Why Choose Our Natural Baby Care Products? Pour a small amount of our Natural Baby Shampoo and Body Wash into your hand or onto a clean, wet cloth. Work the product into a lather and apply to skin and hair. Rinse thoroughly. Supervise children during use. This product is designed for external use only. Avoid contact with eyes. If contact occurs, rinse well with water. Keep out of reach of children.